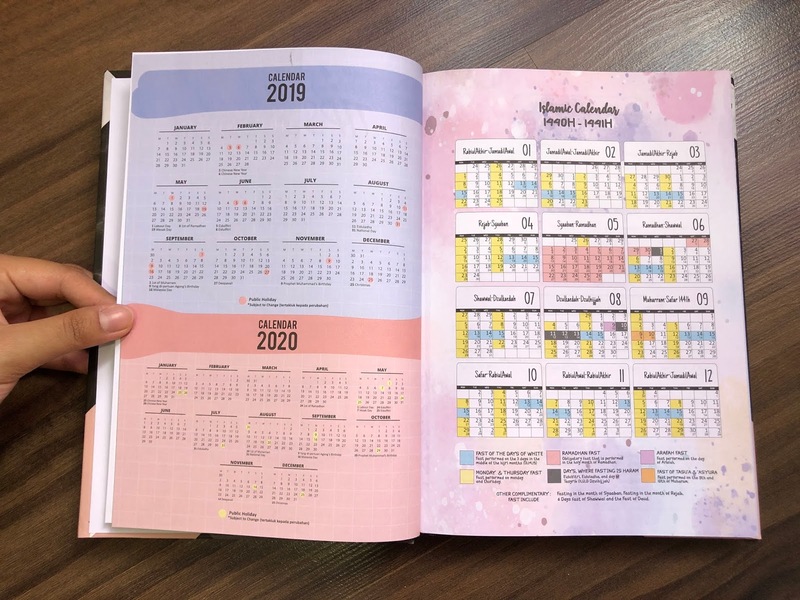 You guys might have seen this planner somewhere on the internet because it went quite viral. 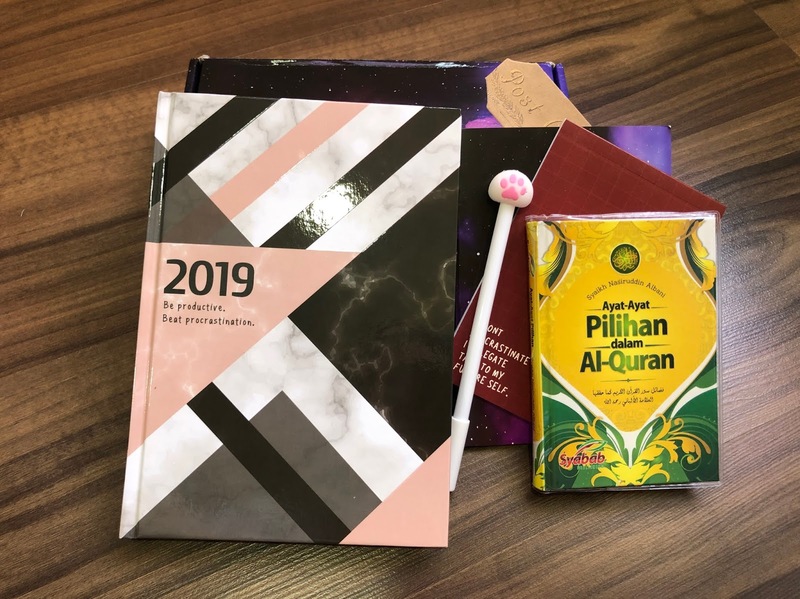 I got it from this Instagram Shop, @planner2019cantik. There are so many other online shops selling them, you can even get one from Shopee. It comes in a box with a few other free gifts! Only for RM45 excluding postage. 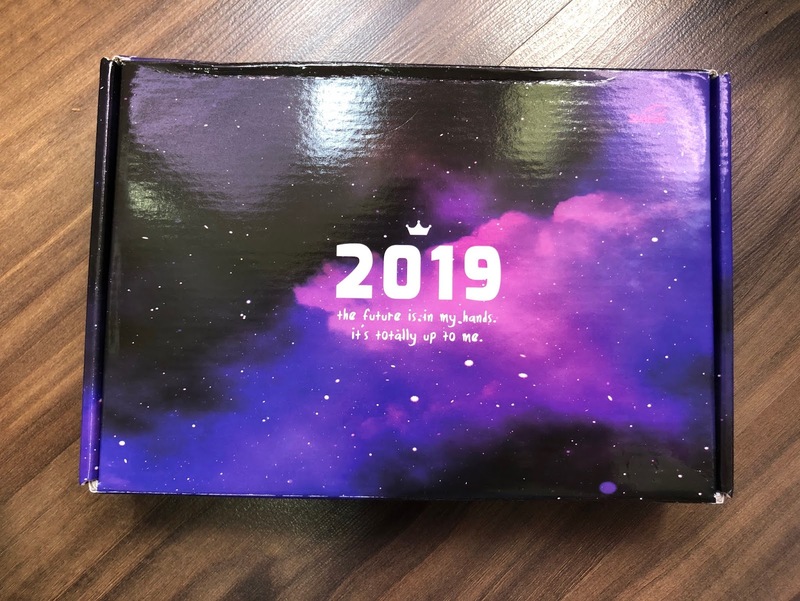 Plus, even the box is damn pretty! Purplish-blue kind of galaxy design. 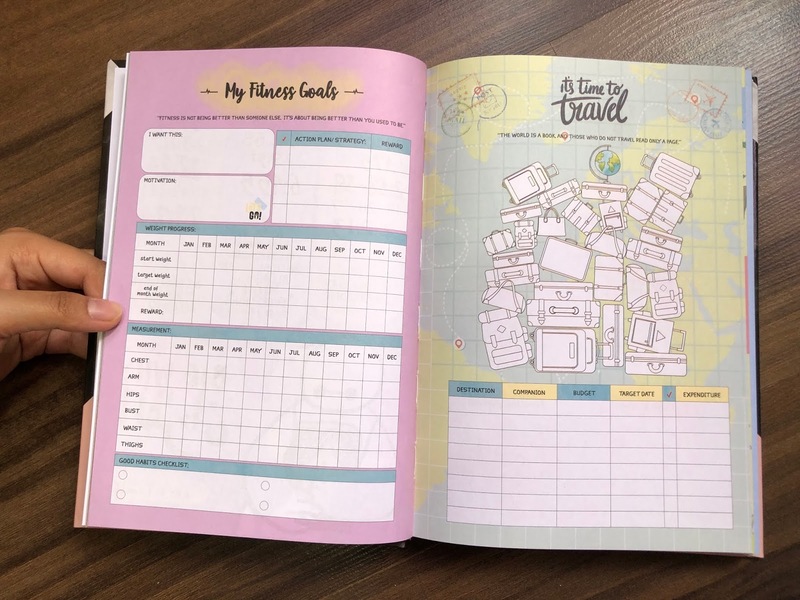 A total of 6 items, including the planner. This one is the hardcover one, and there are 5 other designs you can choose from. I REALLY LIKE THIS ONE. Aesthetic, with that hint of marble design. I love it. There are also the paper cover ones with even more choices of designs. RM20 for that, if I'm not mistaken. Check out this Instagram Shop for more. Their service is tip-top. Very friendly! 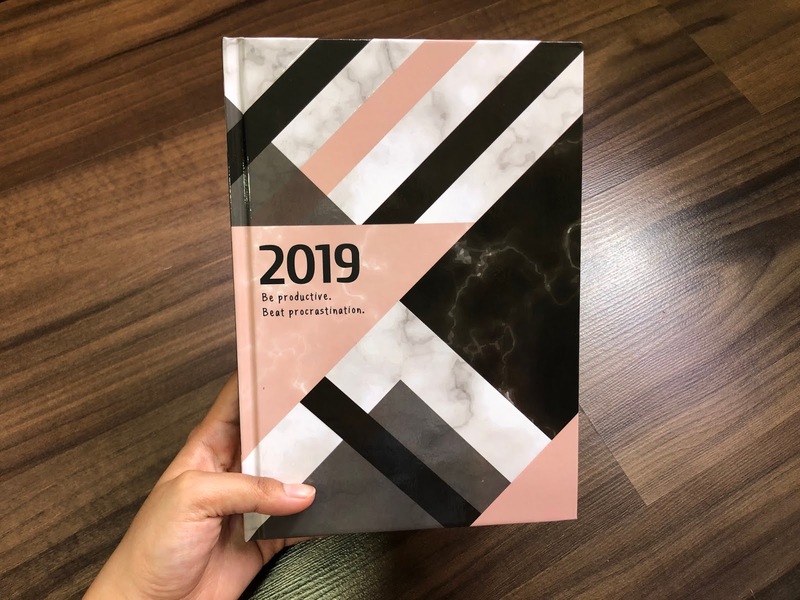 I do recommend you guys this planner if you are still searching for one. You will even get extra free gifts! 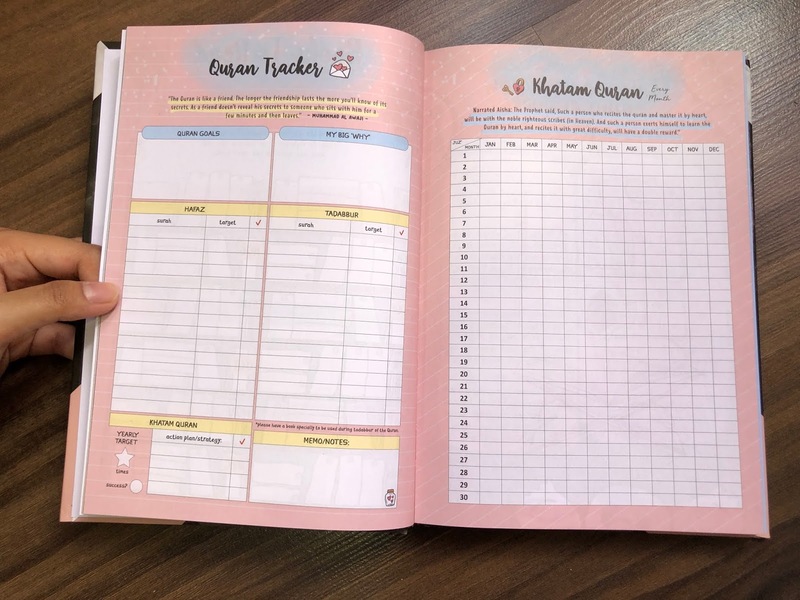 The Planner: How beautiful is that? I'm in love with that marble design. And it is a hardcover one, which makes it even better. The colour combination is also perfect. 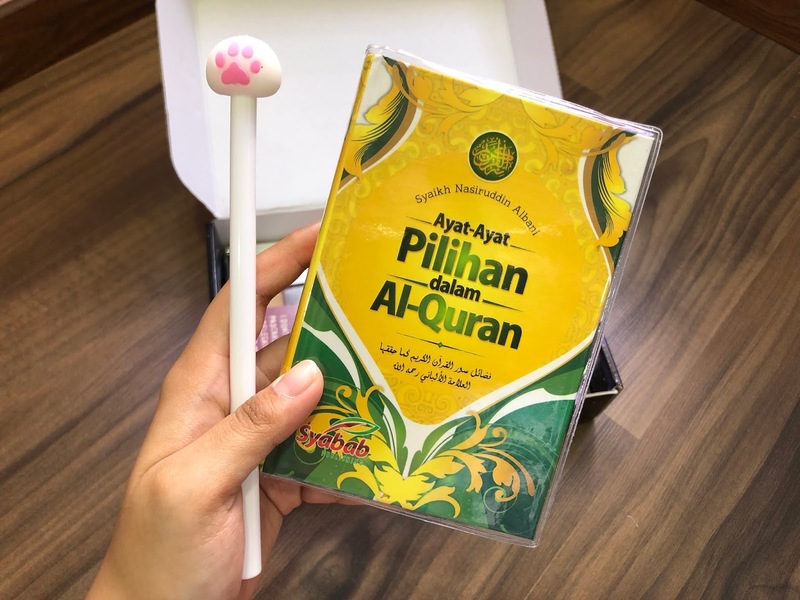 Free gifts: Notebook, To-Do List pad, a cute cat paw gel pen, a bookmark and a compilation of Ayat-Ayat Pilihan Dalam Al-Quran. 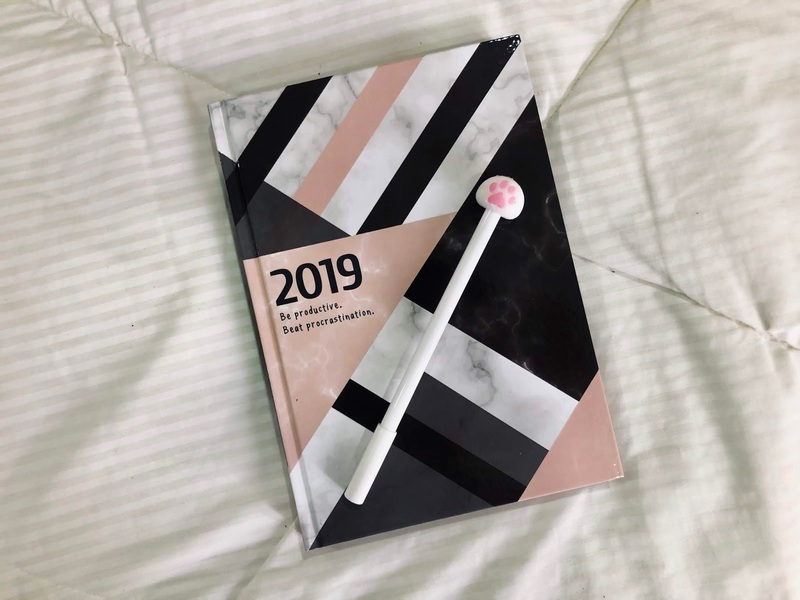 I love the pen, it is the exact pen that I'm looking for to use with the planner. A gel pen. Plus, the cat paw is so cute! 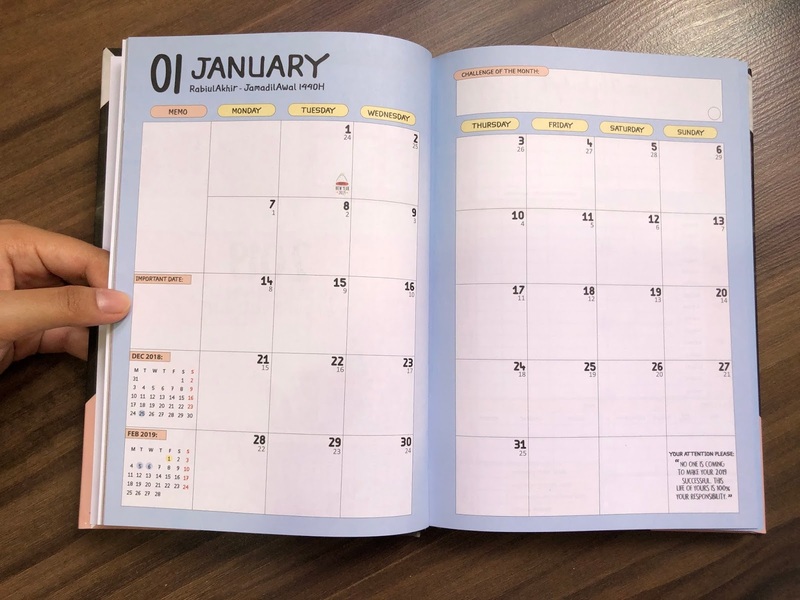 Let's go through inside the planner. I know this might be unusual and weird compared to other classy planners. It may look childish to some people. But I like it. I've tried to start using planners before but it didn't work, I don't know why. I would end up not having any spirit to update them. Lol. That's why I love this planner. The fact that it is so colourful makes me more excited to use it! These are some parts of the contents. It's so colourful, right? 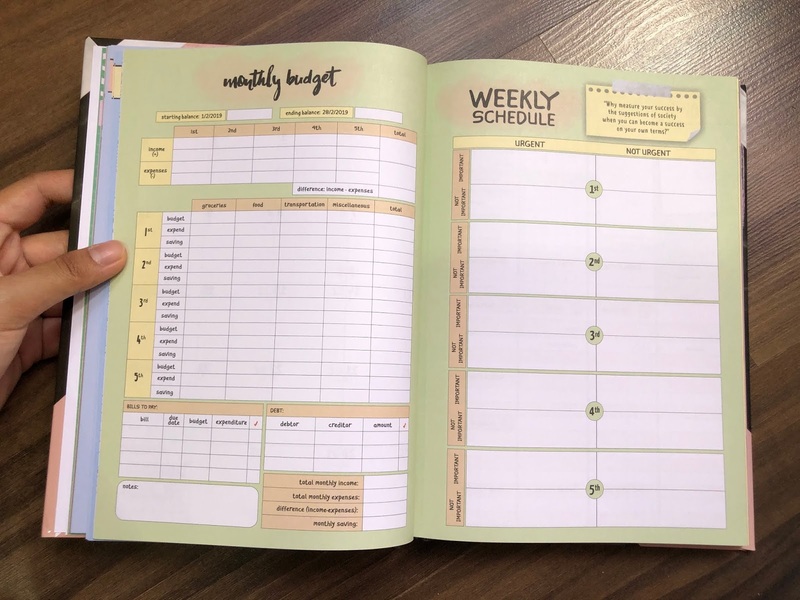 My favourites are the Weekly View, Monthly Budget and Monthly Review. There's a cash flow table in the Weekly View section, which is very, very useful. I get to track my daily cash flow there. 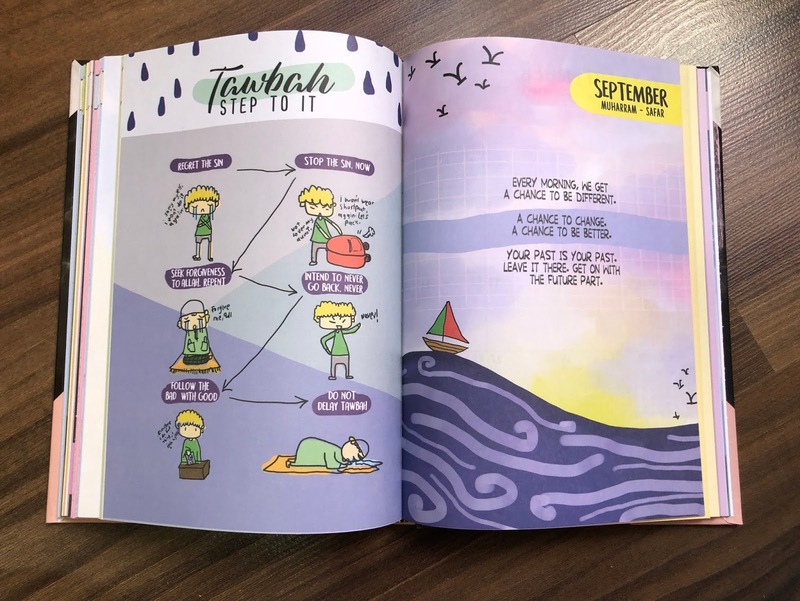 There is also a Quran Tracker section and some special sections for Ramadhan month. Also, they added some graphics between months, which are so cute! 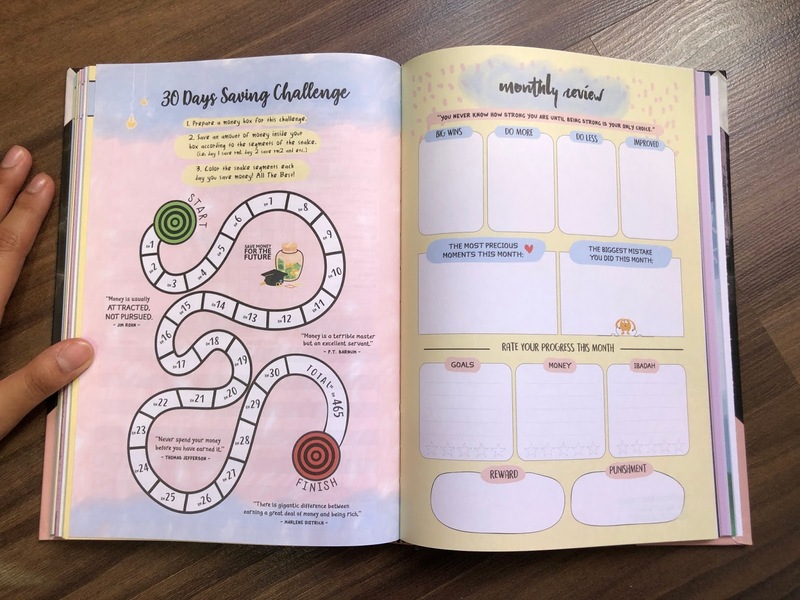 There is also a Fitness Goal page (which is quite useful for me since I am trying to lose weight this year, lol) and a Travel Bucket List page. It's February and I've been using this planner for a month now. So far so good! I actually feel more organized than before, since my life has been like a mess lately as a student. I didn't regret buying this beautiful planner! The printing quality is very good, it's worth the money. There are many other different adorable pages in the planner but these are the ones that I feel like showing to you guys. If you are someone like me who like these colourful kinds of stuff, go ahead and buy it. It's never too late! 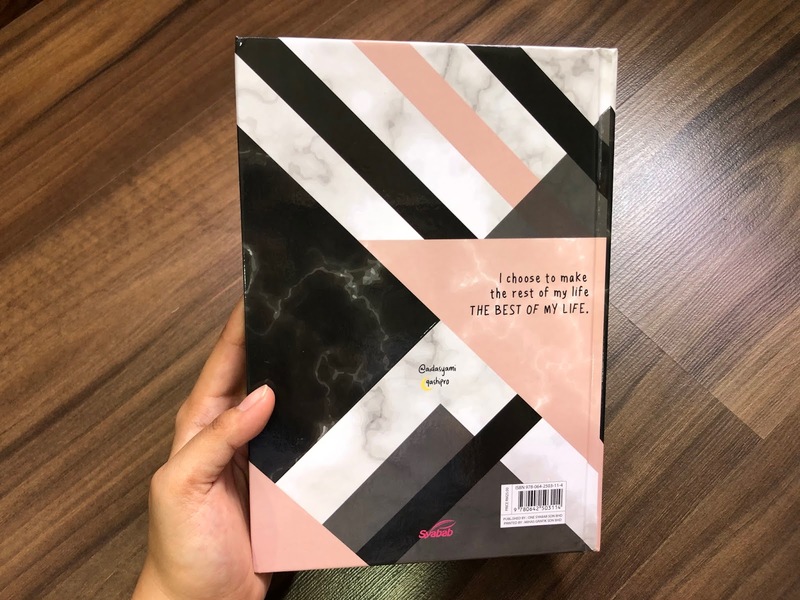 I guarantee that planners will help you to be more organized than ever. I understand what you feel, Liyana. I also feel that this trimester is very hectic for me as I'm approaching final year. 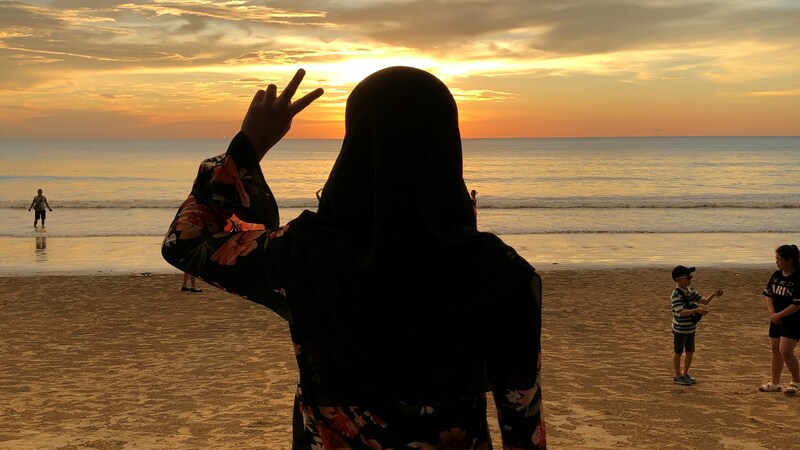 Hope you stay strong and able to face all the challenges. Good luck for your study. Btw the planner is beautiful. 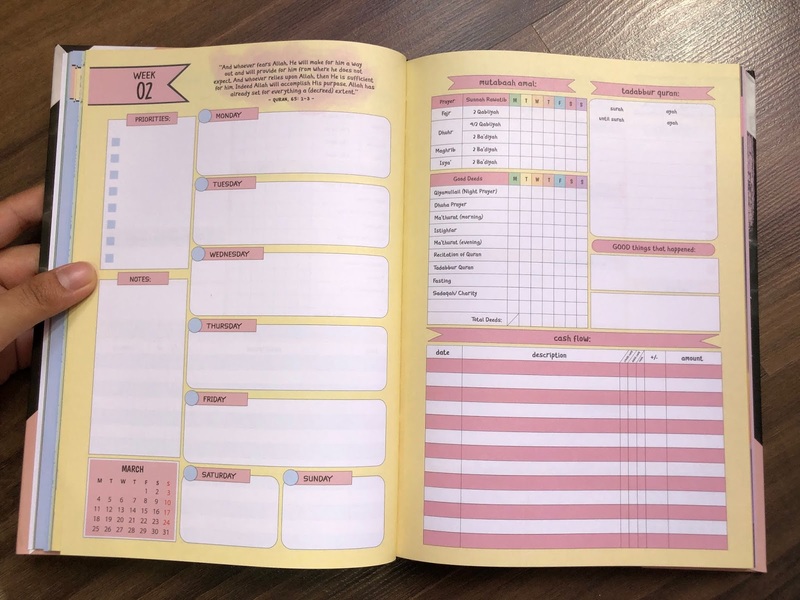 OMG The planner is goal! 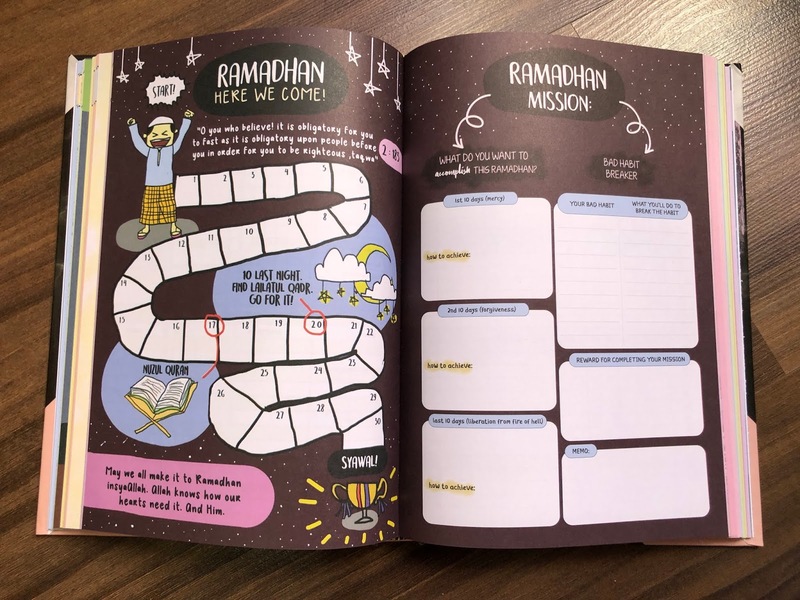 There's even a Ramadan tracker but I've already bought a planner from last year and having 2 planners is totally unnecessary. I love the planner. It's so cuteeeee <3 By the way, yours is not as childish as mine. Mine is way childish but not as cute as yours though. Hey I have the same planner, except mone wasn't hard cover one. I love the planner, I enjoy writing in it because of the colourful content!